►Do you have a specific referral strategy to introduce new prospects to your business or do you just wing it? 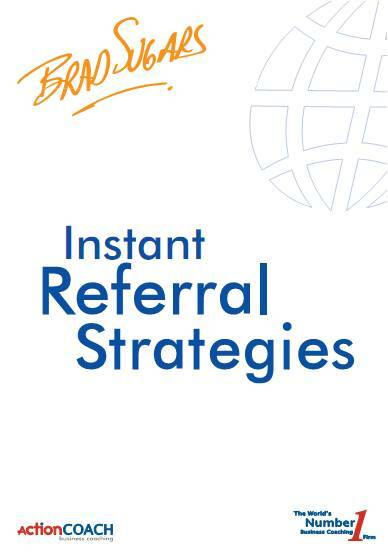 ►Do you have a strategy to get your current clients to refer their business associates, friends, and family to you? This whitepaper explores what it takes to create a referral based business. Once you’ve been through this guide, you’ll know precisely what it takes to stimulate loads of referrals. More importantly, you’ll have a selection of strategies to get you started..
To learn more about how Steve can coach you to increase your sales & profits check out our website at.... www.JacksonvilleCOACH.com.